1. Cook the chicken breast if raw and shred the meat. Set aside. 2. Meanwhile, place the cilantro, olive oil, lime juice, garlic powder, sea salt, and pine nuts in a small food processor. Pulse until you get achieve the desired consistency. 3. 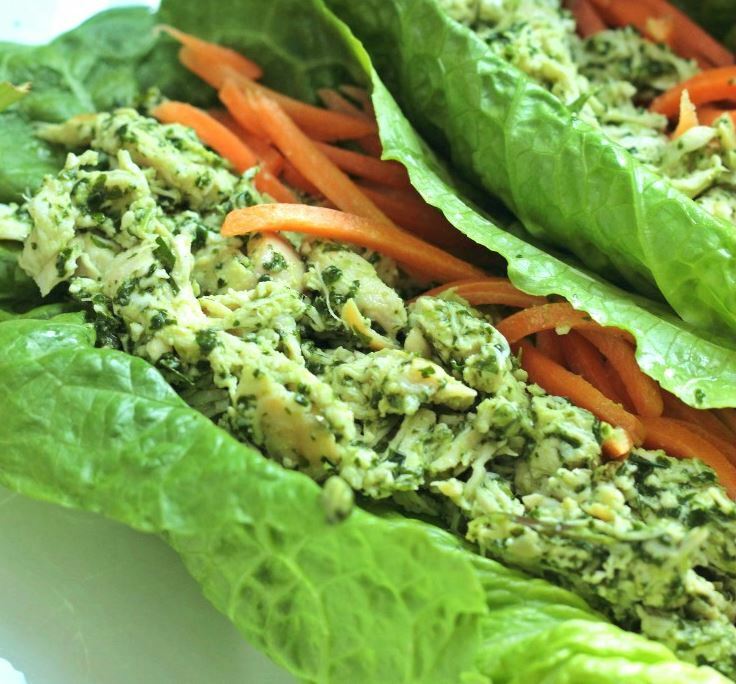 Combine the pesto with the shredded chicken and mix until shredded chicken is evenly coated. Add any additional toppings as desired.